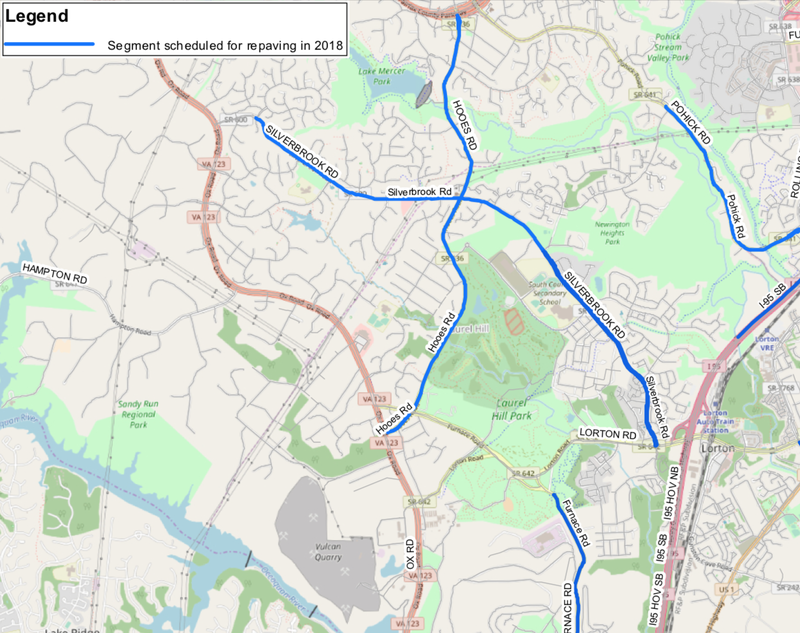 From our earlier blog post: FABB is asking local bicyclists and other interested residents in the Dranesville District to attend the Virginia Department of Transportation (VDOT) and Fairfax County Department of Transportation (FCDOT) community meeting to discuss this year's paving and restriping efforts in the Dranesville District. The meeting will be on Thursday, February 22, from 7:00 p.m. to 8:30 p.m. at the Franklin Sherman Elementary School Cafeteria, 6633 Brawner Street, in McLean. The work being performed in the area is part of the habitat restoration going on along the W&OD Trail and other areas throughout the region by Dominion. The trees removed will be replaced by suitable vegetation (to be determined) that is native to our region and also safe from future interference with Dominion's transmission lines. NOVA Parks met and reviewed the area with Dominion as we normally do whenever work is performed on the trail. In their ongoing series of public meetings, the Virginia Department of Transportation (VDOT) and Fairfax County Department of Transportation (FCDOT) will host a repaving and restriping meeting for the Braddock and Providence Districts on Thursday, March 1, 2018. The meeting will be held at the Oak View Elementary School Cafeteria, 5004 Sideburn Road in Fairfax. include road redesigns of Forum Road, Post Forest Drive and Ridgetop Road, as well as adding striped parking lanes, shared lane markings (sharrows), bike lanes and buffered bike lanes on Sideburn Road. Sadly, there are no striping changes planned in the Providence District in 2018. Details on the proposed changes can be found here. This is a great opportunity for bike advocates to show up and speak up in support of the proposals and provide ideas to the VDOT and FCDOT planners for future restriping opportunities. If you can’t attend, you can still provide comments through March 16, 2018. Submit you comments for Braddock District here and for Providence District here. FABB is asking local bicyclists and other interested residents in the Dranesville District to attend the Virginia Department of Transportation (VDOT) and Fairfax County Department of Transportation (FCDOT) community meeting to discuss this year's paving and restriping efforts in the Dranesville District. The meeting will be on Thursday, February 22, from 7:00 p.m. to 8:30 p.m. at the Franklin Sherman Elementary School Cafeteria, 6633 Brawner Street, in McLean. 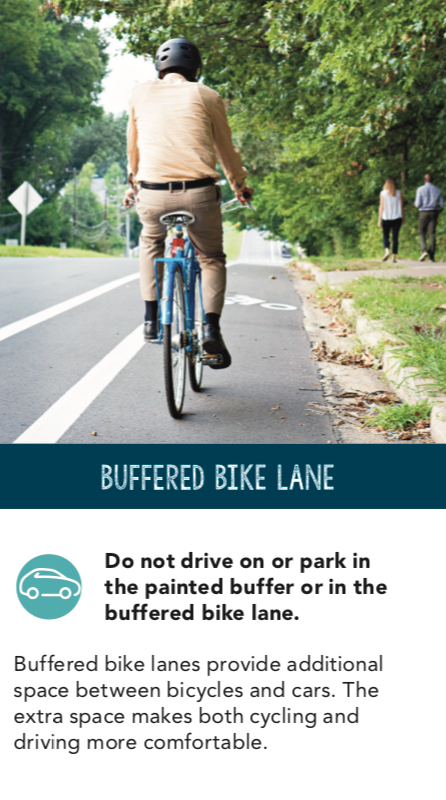 Proposed striping changes in the Dranesville District include a bike lane and shared lane markings, also known as sharrows, on Beverly Road and Elm Street; striped parking lanes and sharrows on Fleetwood Road and Ingleside Avenue; and bike lanes, sharrows and striped parking lanes on Churchill Road. No existing on-street parking will be affected. At the meeting, residents will have the opportunity to speak directly with road engineers and transportation planners about the paving program, proposed striping changes, and general traffic safety concerns. Information about paving and restriping in the Dranesville District will be on display in an open house format with a presentation starting at 7:15 p.m.
Community members are invited to give feedback on general traffic safety concerns regarding roads scheduled for repaving and the proposed striping changes at the meeting or by submitting comments online via the comment form on the paving and restriping program page. Comments will be accepted through March 9, 2018. 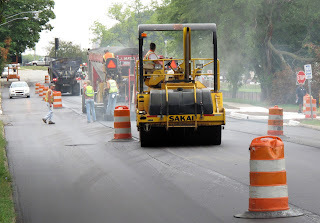 For more information on the 2018 Paving and Restriping Program, visit the FCDOT web page here. 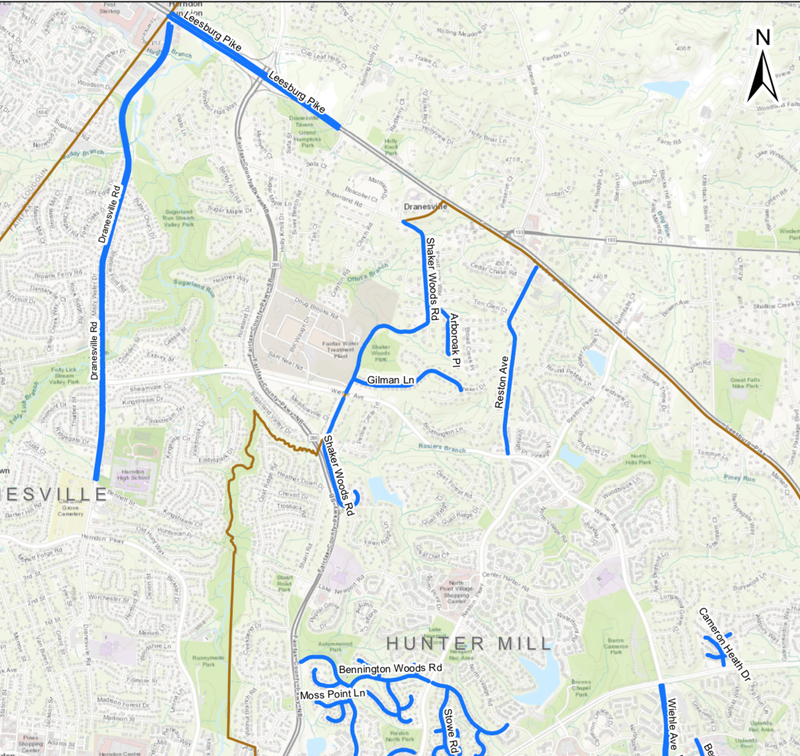 The Dranesville District information page includes maps, sample photos, the proposed list of roads being considered for paving and a link to the comment submission form. FABB congratulates Beeda Lee-Pawlak (Churchill Road Elementary and Haycock Elementary Schools) and Anne Rodriguez (Lake Anne Elementary and Hughes Middle Schools), for their selection as winners of Virginia's 2017-18 Outstanding Crossing Guard Award. Lee-Pawlak, a first-year crossing guard, was praised for “expertly managing the busy intersection of Westmoreland Street and Haycock Road.” Rodriguez is a five-year veteran who also makes potentially chaotic situations simple to navigate and inspires trust and confidence in everyone. Both are adored by the children they serve. 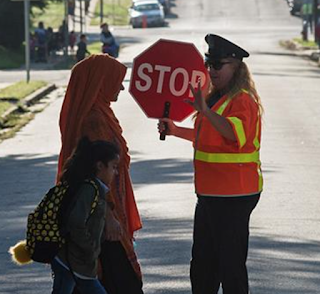 Additional information and a list of other nominees for the Most Outstanding Crossing Guard Awards can be found at the Fairfax County Public Schools website here. 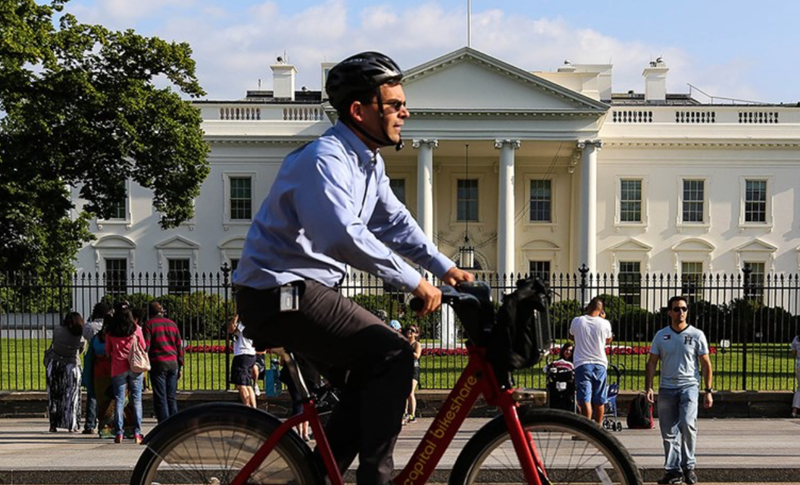 FABB is joining with the Northern Virginia Regional Commission (NVRC), Washington Area Bicyclist Association (WABA), and INOVA to provide FREE Transportation Safety Leadership training and League of American Bicyclists Instructor Certification. 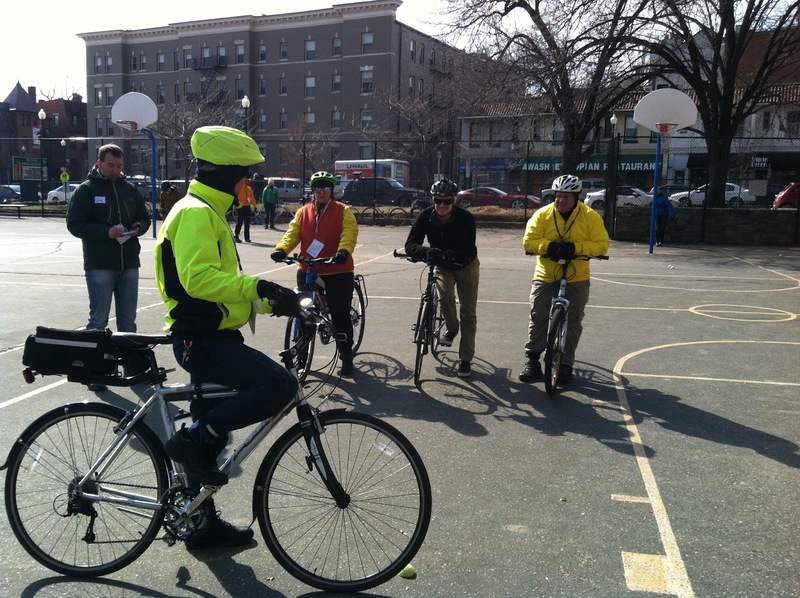 This free training offers the opportunity for applicants to become League Certified Instructors, who are in great demand and can charge $50/hour to teach bicycling and safety outreach. The training is fun but demanding as students learn how to teach bicycle safety and skills to new and returning bicyclists and youth. The seminar focuses on teaching and demonstration techniques that graduates will use with future students in the classroom and on bikes. Each student will have opportunities during the seminar to practice teaching others. The full course of instruction is conducted over multiple days with about 1/3 of that time spent on-bike, including a night riding session. The LCI Education seminar will be held over four days on March 3, and April 6, 7, and 8, 2018, at Inova Fairfax Hosptial in Fairfax. Information about the Pedestrian Safety Training class, including available dates and location, will be announced later. In exchange for this free training, which normally costs $500, applicants are expected to commit to participate in at least 2 community outreach events and to collaborate with regional safety partners in the future. Photo courtesy Shenandoah Valley Bicycle Club. 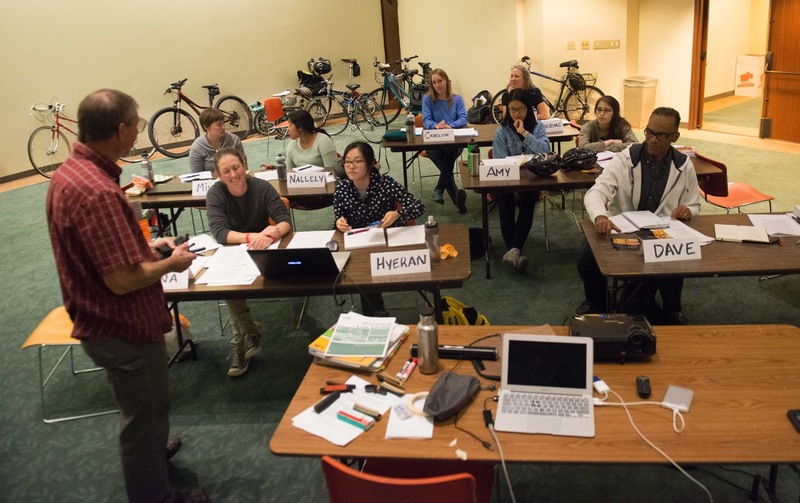 If you are bicyclist who also is a current or up-and-coming leader in your community and if you are willing to commit to training and supporting pedestrian and bicycle safety in Northern Virginia, we think you are a perfect candidate for this instruction. We want those bicyclists willing to partner with community staff and leaders to provide outreach and help us reduce the unacceptably high number of pedestrian and bicycling deaths in the region. The organizers will review each application and select those most qualified. Applicants will be assessed on their ability to ride, commitment to community, and interest in outreach and teaching. Applicants should be comfortable working with people of differing backgrounds in small groups and one-on-one. Second language capabilities are highly desirable. Please apply now at the organizers’ webpage. For more information on LCI seminars, visit the League of American Bicyclists webpage. Last week’s postponed Virginia Department of Transportation (VDOT) and Fairfax County Department of Transportation (FCDOT) meeting on repaving and restriping in the Springfield District has been rescheduled for Thursday, April 5, 2018, at the West Springfield Government Center. The comment period has been extended until April 15. Also, please remember that VDOT and FCDOT are hosting another community information meeting to discuss this year’s paving and restriping efforts in the Mount Vernon District this Monday, Feb. 12, from 7:00 to 8:30 p.m., in the Mount Vernon Governmental Center, 2511 Parkers Lane, Alexandria. 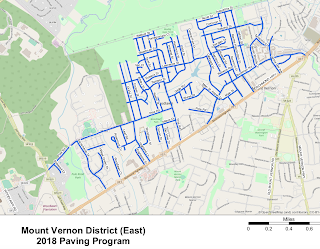 Information about paving and restriping in the Mount Vernon District will be on display in an open house format with a presentation at 7:30 p.m. 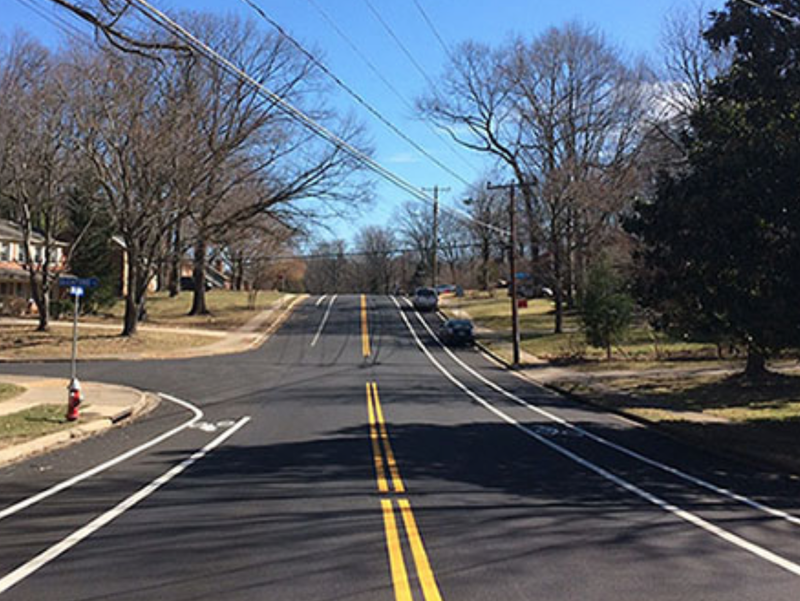 Finally, Sully District community members can still give feedback through February 17 on general traffic safety concerns regarding roads scheduled for repaving and the proposed striping changes by submitting comments online. Please plan on joining us for regular monthly meeting on Wednesday, February 21, 2018 at 7:30 p.m. at the Patrick Henry Library, 101 Maple Ave E, Vienna, near the W&OD Trail. Brandi Horton of the Rails-to-Trails Conservancy (RTC) will be giving a talk on “Making Connections: Trails at the Heart of Healthy, Thriving Communities.” The presentation will highlight how new opportunities can be created for biking and trails as transportation habits change and technologies like autonomous vehicles become mainstream. Join us to explore how we can create the change we want and put trails at the heart of healthy, thriving communities in Fairfax County. If you are not familiar with RTC, you should know that this non-profit serves as the national voice for more than 160,000 members and supporters, 31,000 miles of rail-trails and multi-use trails, and more than 8,000 miles of potential trails waiting to be built, with a goal of creating more walkable, bikeable communities in America. 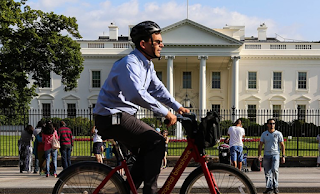 With Washington finally turning its attention to the country's infrastructure needs, bicycle advocates like RTC and FABB have a lot of work ahead of them to make sure that bicycling options are included in the developing plans. Please join us to learn more about potential opportunities. The Virginia Department of Transportation (VDOT) and Fairfax County Department of Transportation (FCDOT) will host another in the series of community information meeting to discuss this year’s paving and restriping efforts on Monday, February 12. This meeting will be on plans for the Mount Vernon District and will be held at the Mount Vernon Governmental Center, 2511 Parkers Lane in Alexandria starting at 7:00 p.m. Bicyclists and local residents will have the opportunity to speak directly with road engineers and transportation planners about the paving program, proposed striping changes, to include the addition of bicycle lanes and sharrows, and general traffic safety concerns. 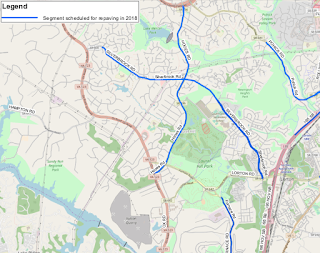 Information about paving and restriping in the Mount Vernon District will be on display in an open house format with a presentation at 7:30 p.m.
Portions of nearly 40 streets with be repaved with Furnace Road from Lorton Road to Route 1 and Hooes Road between Ox Road and the Fairfax County Parkway being two of the longest sections. 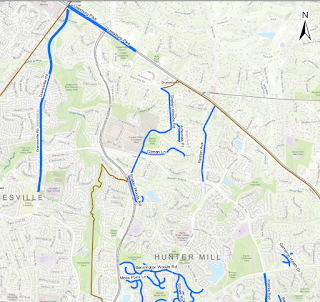 A nearly three-mile long section of Pohick Road from Southrun Road to Rolling Road also will be repaved. If unable to attend, community members are invited to give feedback on general traffic safety concerns regarding roads scheduled for paving, and the proposed striping changes by submitting comments online via the comment form on the paving and restriping program page here. Comments will be accepted through March 2, 2018. Also, please mark you calendars to note that FABB's March monthly meeting on Wednesday, March 21, will be on Mount Vernon and Lee District bicycle developments and will be held at the Mount Vernon Governmental Center.